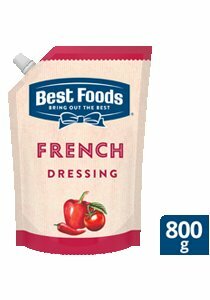 French dressing is a ready to use dressing made with soybean oil, eggs, vinegar etc. It is perfect for salad binding and dressings application with the balanced tangy flavor. Contains Egg, Mustard/Mustard products, Soybean derivatives and Peanut Oil.